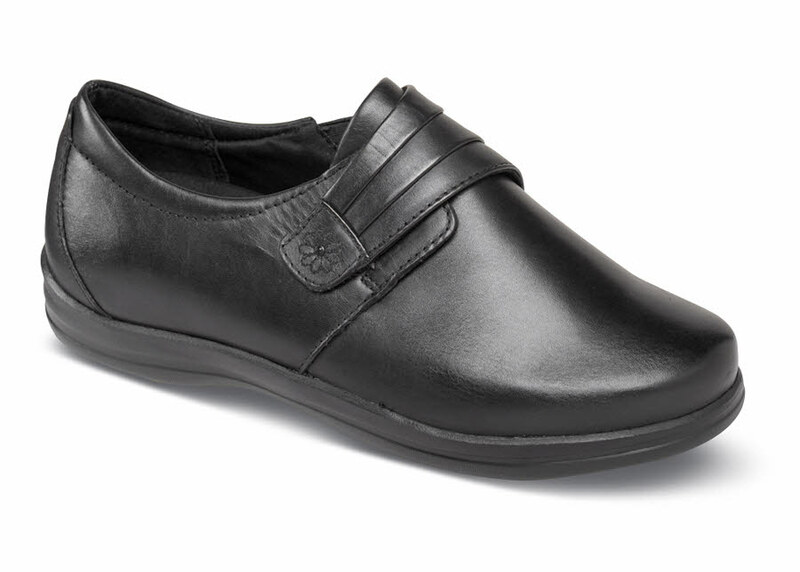 Apex's black "Linda" monk strap has a uniquely stylish pleated strap with stitched flower detail and recessed hook-and-loop closure so the strap lies flat. A medial side gore provides extra adjustment and comfort. Moisture-wicking fabric linings. Roomy toe box with 5/16-inch removable depth in two insole layers. Firm, stabilizing heel counter. 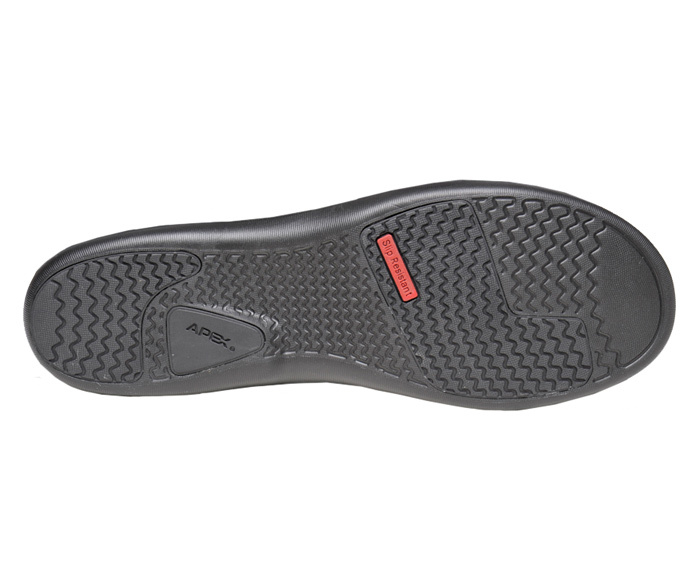 Highly slip-resistant rubber outsole. Originally $129.95. Available in a very room 2E width in women's sizes shown.